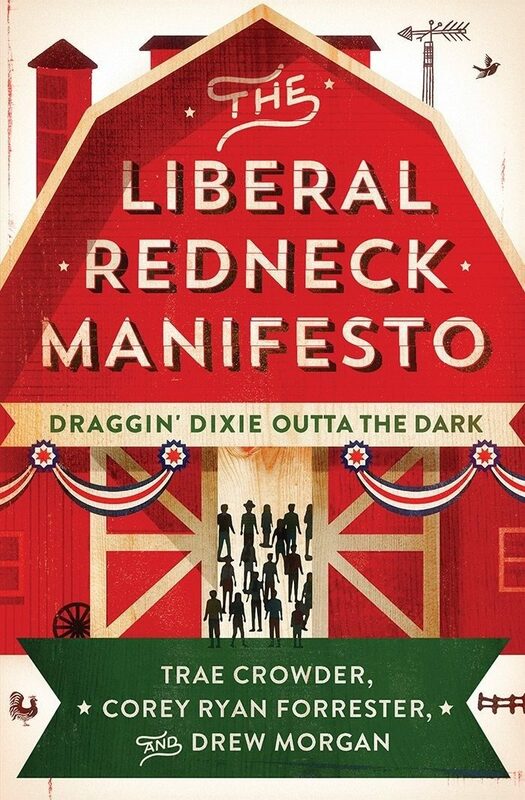 Smart, hilarious, and incisive, the Liberal Rednecks confront the Confederacy of Dumbasses, tackling everything people think they know about the South, the good, the bad, the glorious, and the shameful, in a laugh-out-loud funny and lively manifesto for the rise of a New South. Home to some of the best music, athletes, soldiers, whiskey, waffles, and weather the country has to offer, the South has also been bathing in backward bathroom bills and other bigoted legislation that Trae Crowder has targeted in his Liberal Redneck videos, which have gone viral with over 50 million views. Perfect for fans of Stuff White People Like, I Am America (And So Can You), and Dear White People, The Liberal Redneck’s Manifesto skewers political and religious hypocrisies in witty stories and hilarious graphics—such as the Ten Commandments of the New South—and much more! While celebrating the South as one of the richest sources of American culture, this entertaining book issues a wake-up call, and a reminder that the South’s problems and dreams aren’t that far off from the rest of America’s. All books purchased through the online store are signed by the authors!